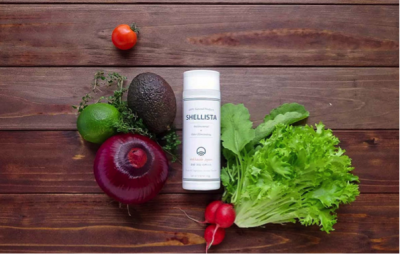 Sherista, a germicidal deodorant for both people and the environment, gets Halal certification! Sea Eco Mark MSC (Marine Management Council) certified Hokkaido Okhotsk Sea scallops scallops are raw materials. 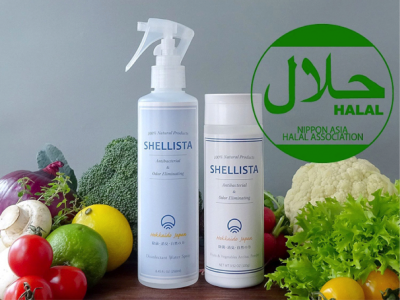 “Sherista”, a disinfectant / deodorizer for 100% natural natural materials processed with original manufacturing method considering the environment, acquired halal certification. “Shell calcined calcium” as a raw material ingredient is a shell which has been heated at a high temperature of 1000 ° C. or more, and when it is added it becomes strongly alkaline (pH 12.5 to 13.2) calcium hydroxide. 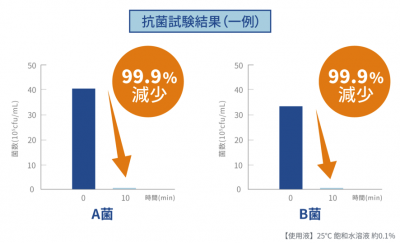 Alkalinity has the property of degrading proteins, so it can destroy the proteins contained in the cell walls of pathogenic bacteria and viruses, and can eliminate pathogens such as various bacteria and viruses. 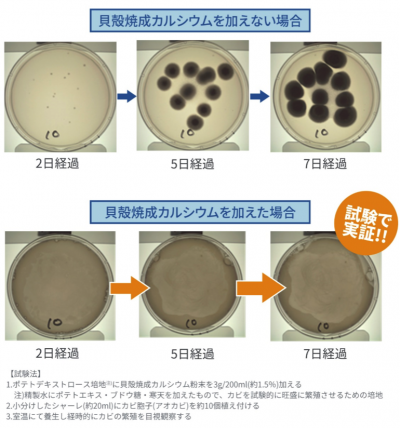 In the coming season, it has the effect of suppressing breeding of mold which becomes problem in the rainy season and summer. The most important thing in mold control is to take appropriate measures before mold occurs. 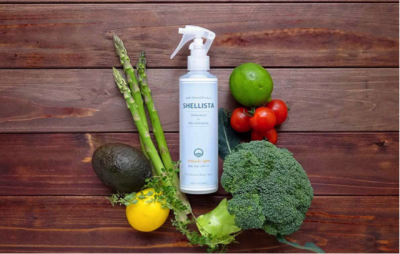 Shellista ‘s ingredient “shell calcined calcium” also has the effect of suppressing breeding of mold fungi such as blackcurrant, koji and blackcurrants, so you can expect antifungal effect by using it every day where you are concerned about moisture. goods such as baby bottles and baby pacifiers soaked in the aqueous solution, and then perform sterile cleaning. Because it is 100% natural ingredient, you can use it with confidence. There is no disagreeable smell etc. 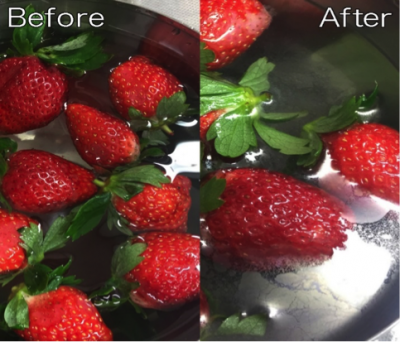 By placing fruits and vegetables soaked, dirt adhered to the surface and residual agricultural chemicals · wax etc will be peeled and disassembled. Furthermore, germs and viruses are sterilized and there is also an effect of fungus, so it will be possible to keep the freshness of fruits and vegetables. Seashell calcined calcium is a material certified as a food additive, so it is a convenient and reliable item of great success in various scenes, even for children, elderly people, or homes with pets. 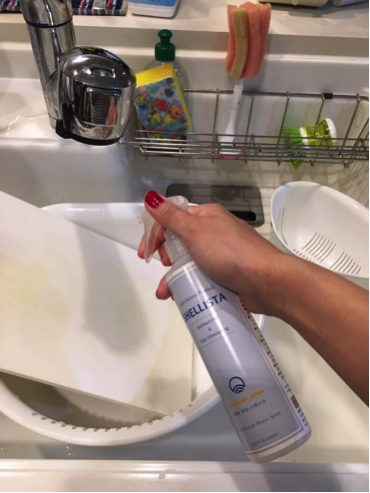 Spray types that can be used in various places, cleaning and disinfection of vegetables and fruits, disinfection of kitchens and toilets, deodorant and bacteria removal for baby supplies and pet supplies, baths and washing machines, cars, sofas and beds , It can be used for a wide range of applications in everyday life. 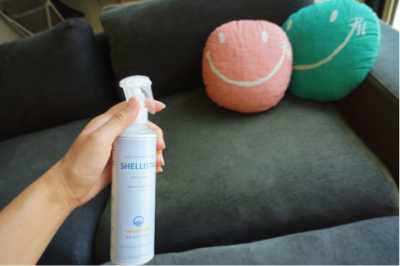 Shelysta is effective for items that can not be easily washed like stuffed toys, toys, sofas and automobile seats. Since I do not use any chemicals, there is no disgusting smell. It is very cheap to use. It is also recommended that the product will be sold as a souvenir of customers visited from Muslim countries, at stores such as restaurants.